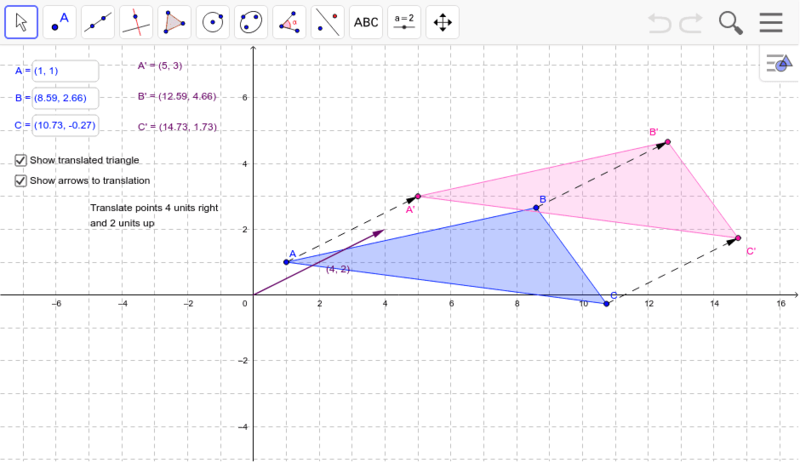 Move the blue points (A,B,C) by dragging them or change input coordinates at top left. Adjust the purple translation vector. Notice that all the dashed vectors are copies of the original translation vector and are all parallel to each other. The coordinates of the translated points are shown in purple.